1985 foal & an Ir 22,000gns yearling purchase. Won five races from 5f to 7f between 2yo to 4yo. At 2yo won two from four, started with two second places in 5f maiden on June 25th (to Warning) and then a 6f maiden on Sept 19th. Successful in a 6f race on Sept 29th and then a minor conditions race on Oct 19th. Older Group 2 winner over 5f and Group 3 level at 6f to 7f. Retired to the Irish National Stud (where Ahonoora had been) in 1990 and a very good career with a reputation for getting sound, competitive runners (like another sun of Ahonoora - Inchinor) and capable of getting a good percentage of better class runners. His Group 1 winners have either been sprinters (Compton Place & Namid) or 7-8f types (Definite Article, Domedriver, Indian Haven & Ridgewood Pearl). Also gets better class runners which stay further including current Group 2 winner Imperial Stride. Above average record with his British raced 2yos with around 33% winners to runners and an above average strike rate. Gets winners at 5f through to 8f from mid season onwards (with winners rare before July). 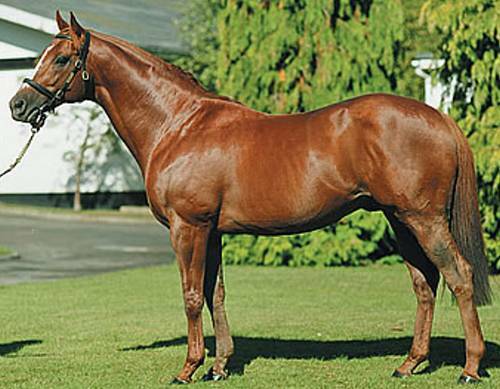 Better class 2yos recently have been Indian Haven & Mazepa (2002), Snow Ridge (2003) & Manston in 2005. 23 yearlings sold in 2005 for an average over 100,000gns. 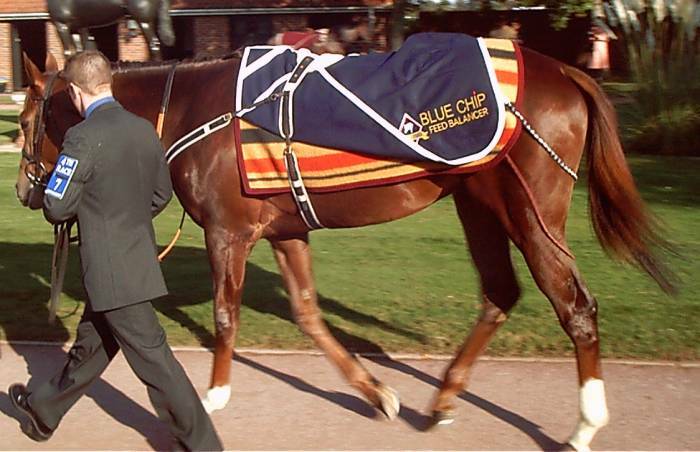 A solid 2006 with 4 winners from 15 runners including 6g Group 1 winner Indian Ink and Listed winner Vital Statistics. 16 yearlings sold in 2006 for an average of 104,000 guineas. 2005 to 2008 Winners List.